Review us on Google and Yelp and receive $10 off your next service. After you have reviewed us, don’t forget to mention this promotion at the time of your next service! The Pink hair for hope Foundation provides pink hair extensions to salons to sell to consumers for a donation during breast cancer awareness month. The hairdressers donate their time and the Foundation donates the net proceeds after the cost of the hair extension. 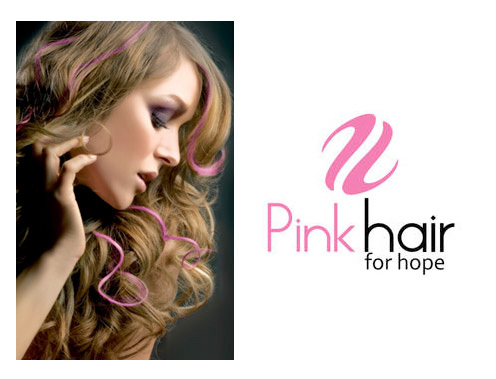 Individuals go to participating local salons in October and have pink human hair extensions added to their own hair for a $10 per strand donation. Our pink symbol of hope brings awareness as well as financial support to cancer patients. Jacqueline is amazing I cannot believe the wonders she did on my hair today! She left me walking out looking stunning! I recommend her 1000% she will be able do just about anything that you want with your hair and also she gives great advice and her ideas are amazing! I will definitely be back to see her. And see no one else but her!